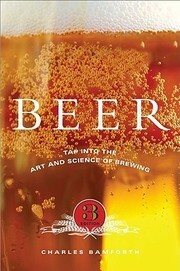 The following is a list of resources for those beginning in the world of craft beer. These are resources that I personally found/find of value. I will add to it over time and some may be replaced by others as it evolves. The Brew Site. Jon Abernathy has been blogging about beer for over 10 years now. Only a small handful worldwide can make that claim. Jon is the author of the 2014 released Bend Beer [see above]. If you want to know which breweries are/were present in Central Oregon and which are in planning and the order they came in then see the sidebar on Jon’s blog. No one else gives you as complete or as accurate info yet. No one. Good Beer Hunting. Michael Kiser is the real deal. Check out his site, his photographs, his writing, his events, his podcast (if so inclined), the items in his store. Boak & Bailey’s Beer Blog. Jessica Boak & Ray Bailey write the eponymous Boak & Bailey’s Beer Blog and are the author’s of the 2014 released Brew Britannia: The Strange Rebirth of British Beer. This is a great blog to follow with lots of useful comments along with linking in/out to many other great resources/people. This is my “view” into the world of British beer and actually much wider. Boak & Bailey also host the quarterly #beerylongreads. 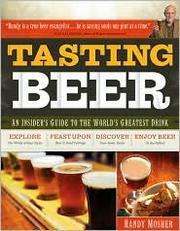 “The Tasting Act” by Randy Mosher in All About Beer 35(4), 24 November 2014. An excellent overview of the tasting act.